Increasingly, electronically stored information (ESI) has become one of the primary sources of evidence in legal matters both large and small. Despite the fact that we have been storing information on electronic media for decades, the whole area of electronic discovery continues to evolve. While every firm may have variations on how they handle electronic discovery, there are some basic tenets that apply across the board. The challenge is to establish a framework in which electronic discovery disrupts business operations as little as possible, while still answering legal or regulatory requirements. The first step is to establish a retention policy for ESI throughout the firm. This will need to be a joint effort between the legal and the IT departments; legal advises on the policy and IT implements the technology to support the policy. The common retention periods for paper documents, 7-10 years, also apply to ESI in most cases. There is no standard for what a retention policy entails, but it needs to be defensible if challenged. For example, having a policy that deletes all email communication older than 90 days is defensible as long as that policy is enforced for all employees and can be shown to be a standard operating principle. What is required by law or regulation? What is common practice for your industry? What is reasonable from a technology and cost perspective? This last point is the most troublesome, as it’s a balancing act between recurring operating costs versus the potential cost of litigation or damages. Too often, companies stop planning after establishing a retention policy, missing the point of what it takes to protect and retrieve data when an electronic discovery event occurs. Consider two issues. First, a discovery event is highly disruptive to normal IT operations. The same people who manage email, storage, and other IT services will have to stop their normal work to take on the discovery event. They may not have the expertise or facilities to meet the request in a timely fashion. Second, the discovery request may cover data on backup media from obsolete systems. The IT team may no longer have the hardware of software to read the media using normal processes. A further complication may be that the discovery event requires data from multiple systems with different backup and retention approaches. For example, you may need to retrieve email, documents from file servers, or even information from collaboration systems like SharePoint. It’s best to have a coordinating process or team that handles all possible sources of data. Above all, the process needs to be explainable and defensible in court. Any doubt by opposing counsel or the judge hearing the case will only lead to more discovery and more data having to be produced. In the past, technical complexity might have received some sympathy from the court; no longer. In the US, the Federal Rules of Civil Procedure were updated in 2006 to require that companies provide a “map” of how data moves through their organization. This is to be used by counsel to guide discovery and eliminate fishing expeditions for data. One of the most troublesome issues is that technology evolves at a much faster rate than the legal requirements for data retention. This means that relevant ESI may be contained on media that can no longer be accessed by conventional means. Unfortunately, the courts are typically not sympathetic to such technical challenges. Global organizations have an even more difficult time with policy, process, and technology, given that law can vary from country to country. Too often, US-based firms do not understand the limitations that other countries place upon access to data. For example, EU data privacy law has very strict limits on what kind of information can be disclosed or moved across borders. At times, the laws of one country may be in direct conflict with the laws of another, so handling a global discovery event is fraught with peril. Often, IT services are not provided or managed globally, creating a web of different groups that may have to be involved in handling a discovery event. Differing processes and language can make a difficult process even more complicated. 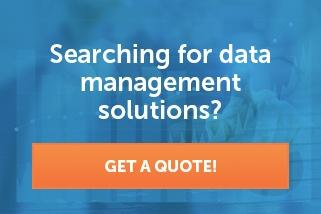 Given all these issues, how can one be ready to handle data restoration in the simplest way possible? This is an area where using a service from a trusted provider may be of the greatest benefit. The unpredictable nature of discovery events means that your business may not have the expertise or technology needed when those events occur. A trusted partner will understand the chain of custody, defensible processes, and how to assist counsel in meeting their needs. Asking IT to do the same is not their core competency and diverts resources from delivering to all parts of the business. Technology and discovery will only become more complex in our increasingly electronic world. It makes the most sense to work with a partner who can understand your business and reduce your risk.